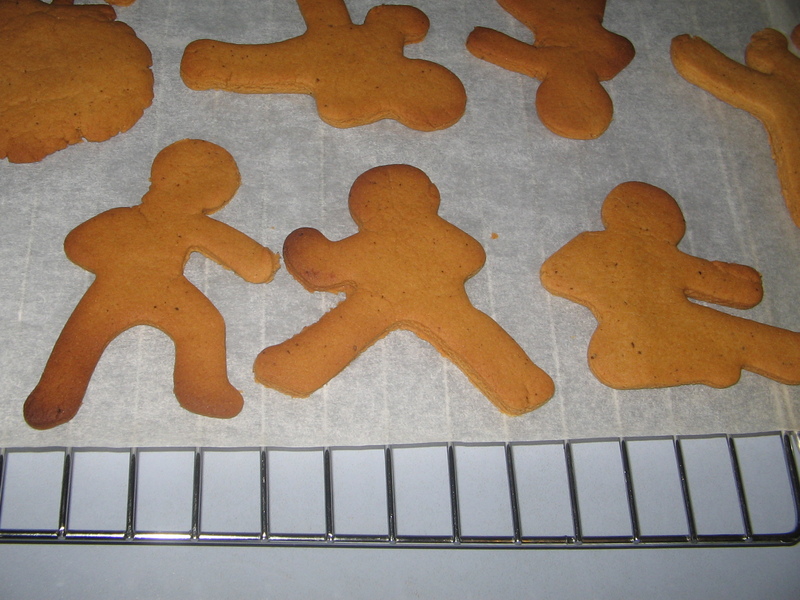 This weekend I made ninjabread, thanks to my mum giving me awesome ninjabread cutters for Christmas. Some of them got a bit crispy around the edges as my old oven doesn’t cook evenly. 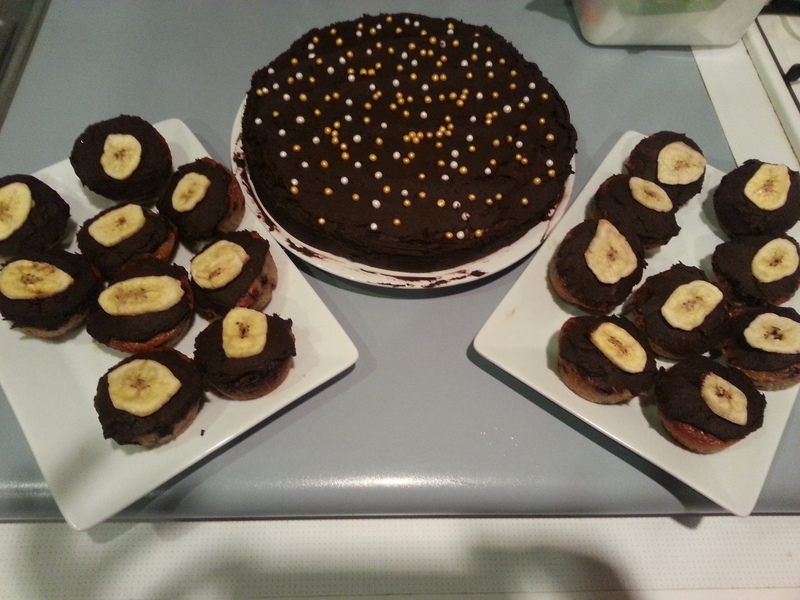 It’s fine for cakes which are in the middle of tray, but rough on biscuits. But hey, crispy ninjabread is better than no ninjabread. 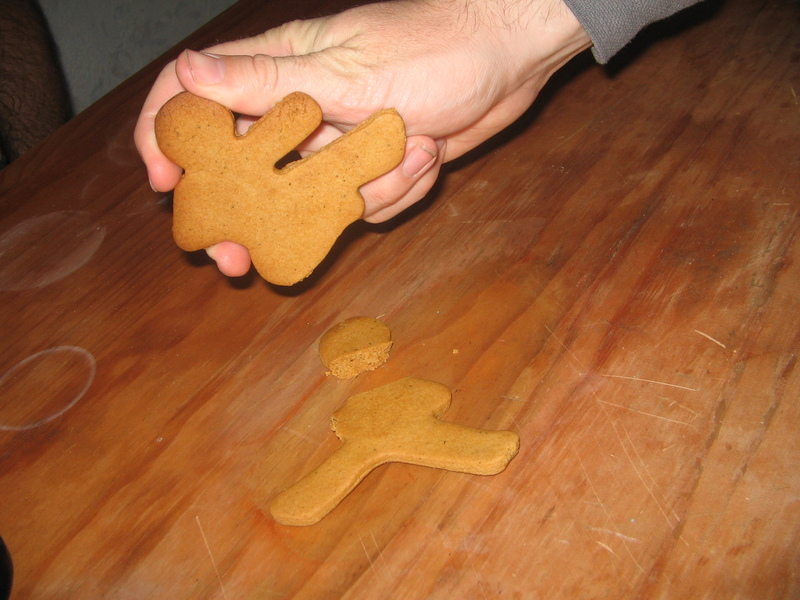 So, what exactly is ninjabread? It’s gingerbread cut into ninja shapes of course. The cutters came with pictures that show them iced in ninja clothes, but I wasn’t going to get that carried away, especially as the whole batch last less than 24 hours.Even the crispy ones went. 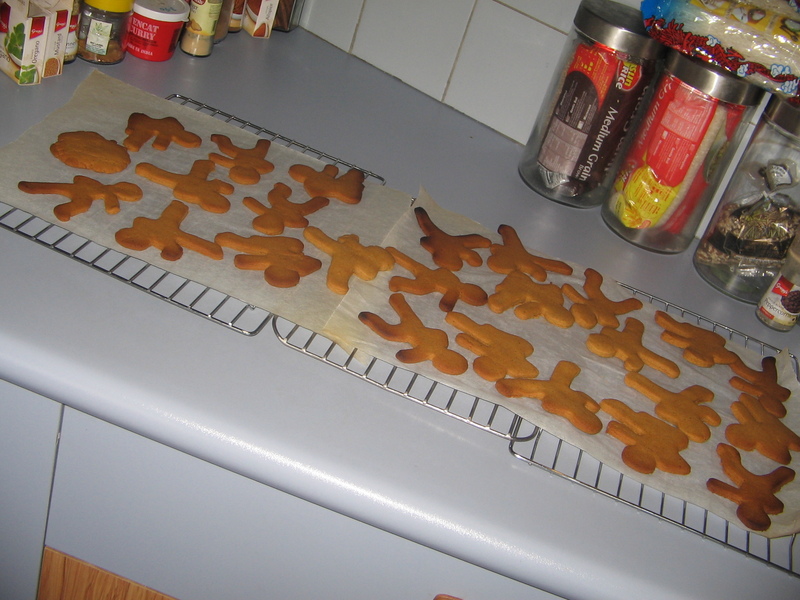 The cutters also came with a recipe for ninjabread. Pros – contained lots of funny ninja references “Quietly cream together” “add molasses and blend into the night” “add to the mixture with deadly accuracy” “moving like the wind, pre-heat the oven” “release the ninjas”. Hehe. 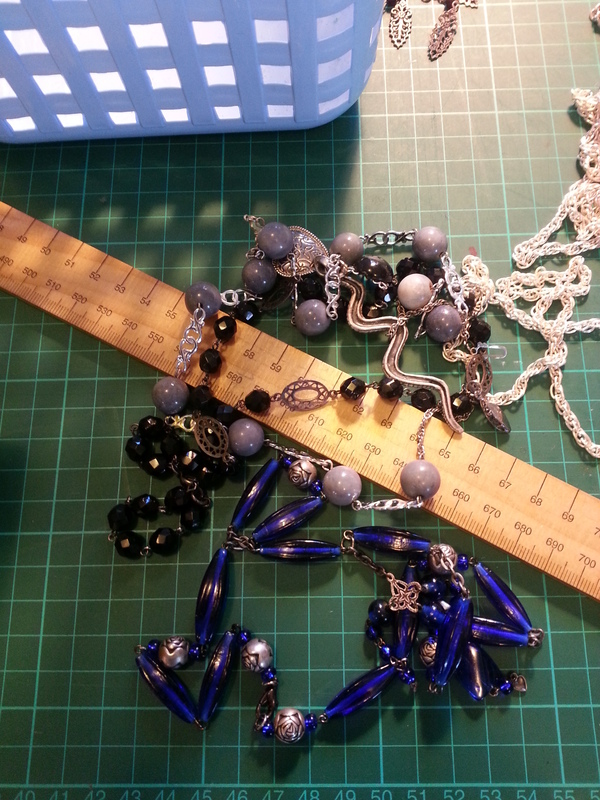 Cons – major ingredient was shortening! Eww. So I found a gingerbread recipe in another book and then subbed out the treacle and subbed in golden syrup, mainly because I had no treacle. Best part of making ninjabread? Within seconds of giving the first one to my partner, G, he was making kung fu sounds and biting off limbs in retaliation. 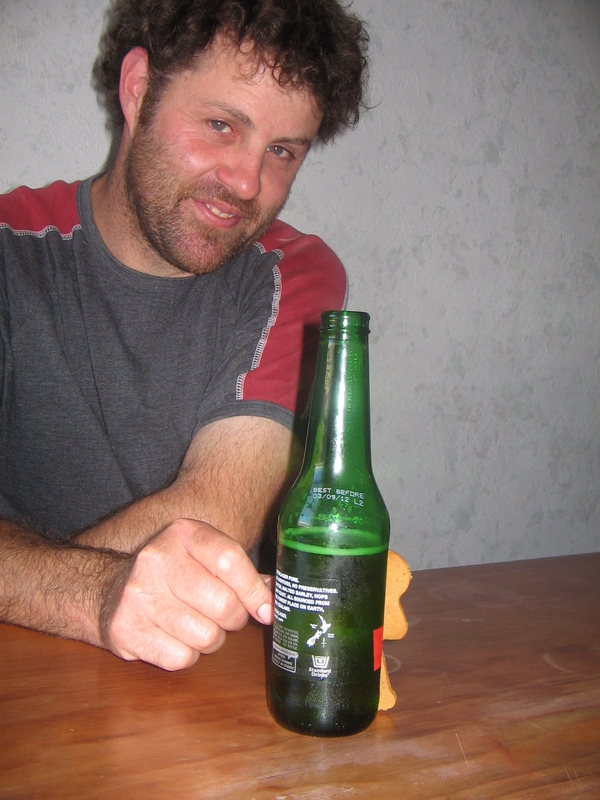 I came out of the kitchen to find him hiding it behind his beer bottle (I was baking at about 6 on a Saturday night!) My flatmate followed suit shortly after. This so entertained them that they then engaged in ninjabread wars. There was a fatality. There can be only one. 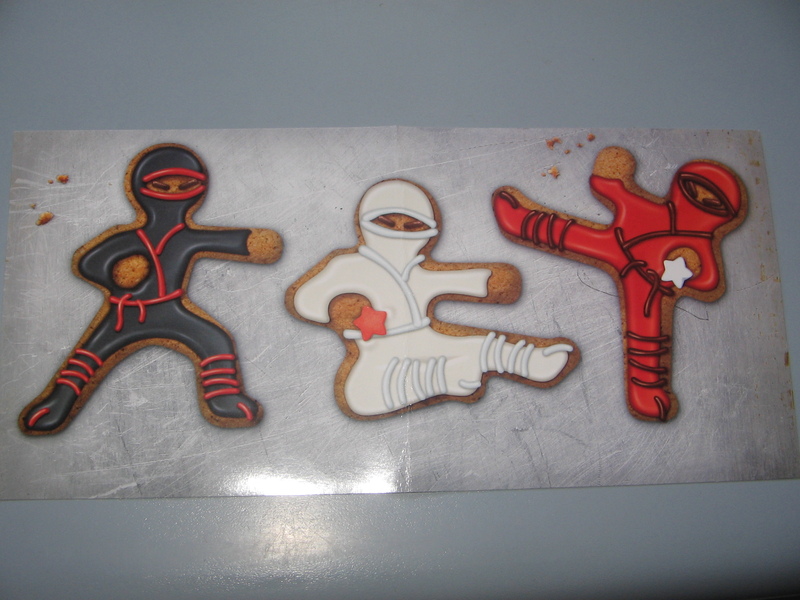 Ninjabread that is. 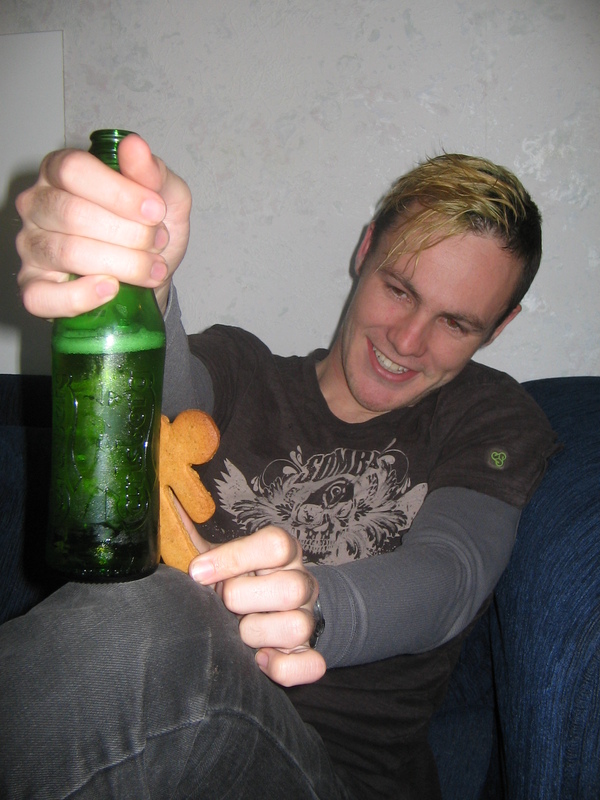 I approve of people playing with their food when it is ninjabread!